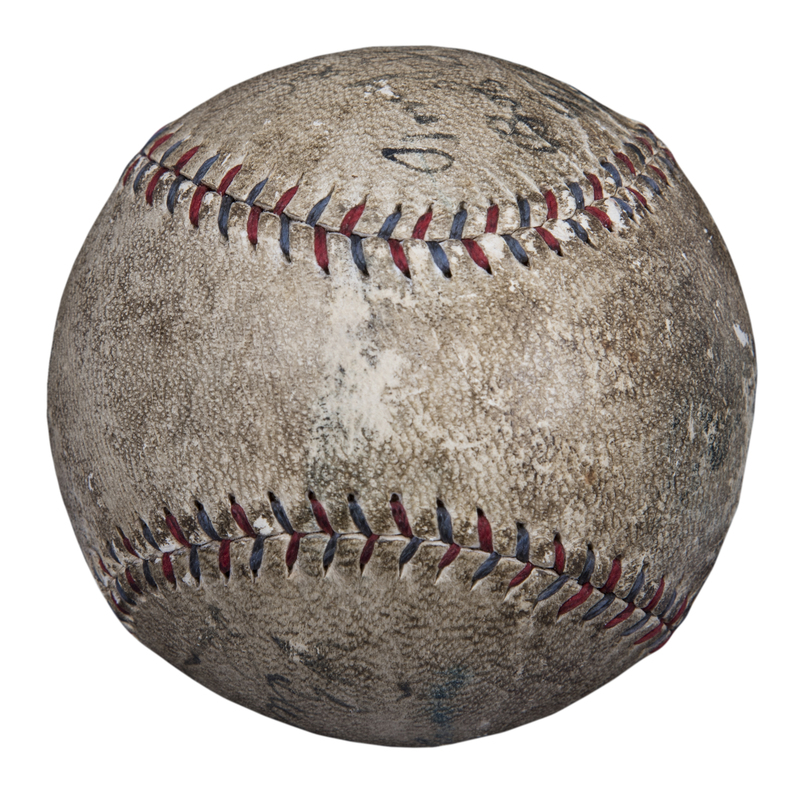 The standard to which all dominant rosters will forever be compared, the 1927 New York Yankees reached an absolute pinnacle in the glorious run that the franchise realized after acquiring the game's most legendary performer. 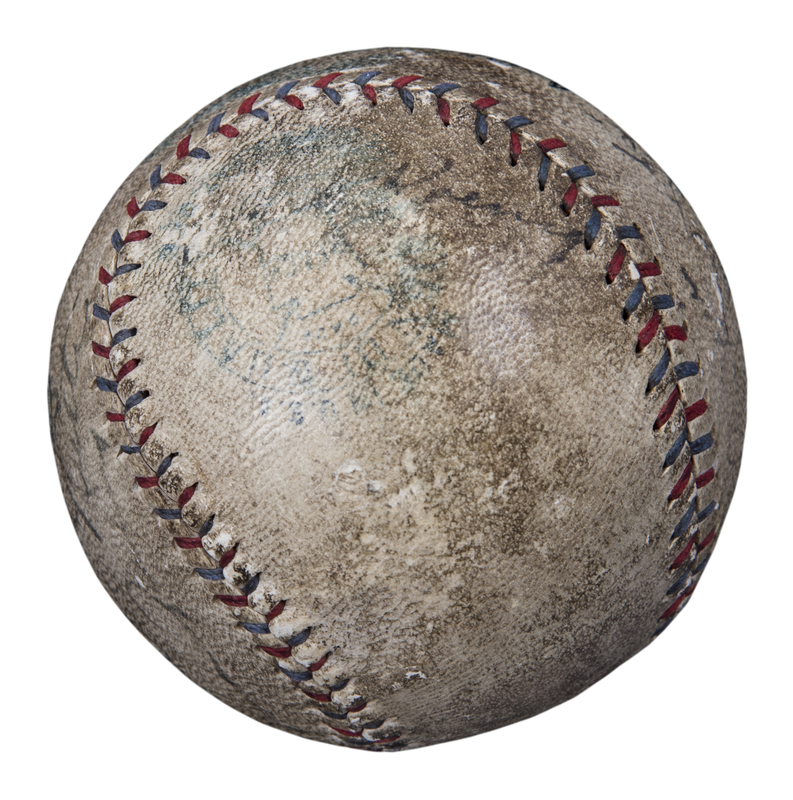 While the Bronx Bombers had paced the American League in round-trippers in six of seven seasons since Babe Ruth's 1920 arrival, the principals in the legendary "Murderers' Row" lineup collectively launched a record 158 circuit dingers in 1927 – with Ruth, of course, accounting for 60 of those. 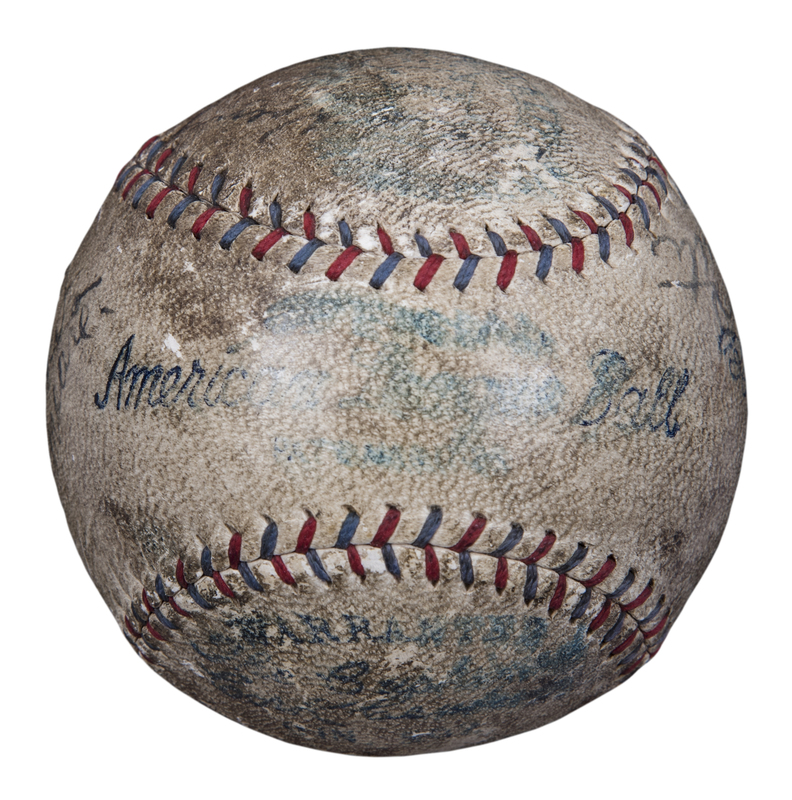 This offered Official American League Ban Johnson stamped baseball features seven signatures from that might 1927 New York Yankees World Championship squad. 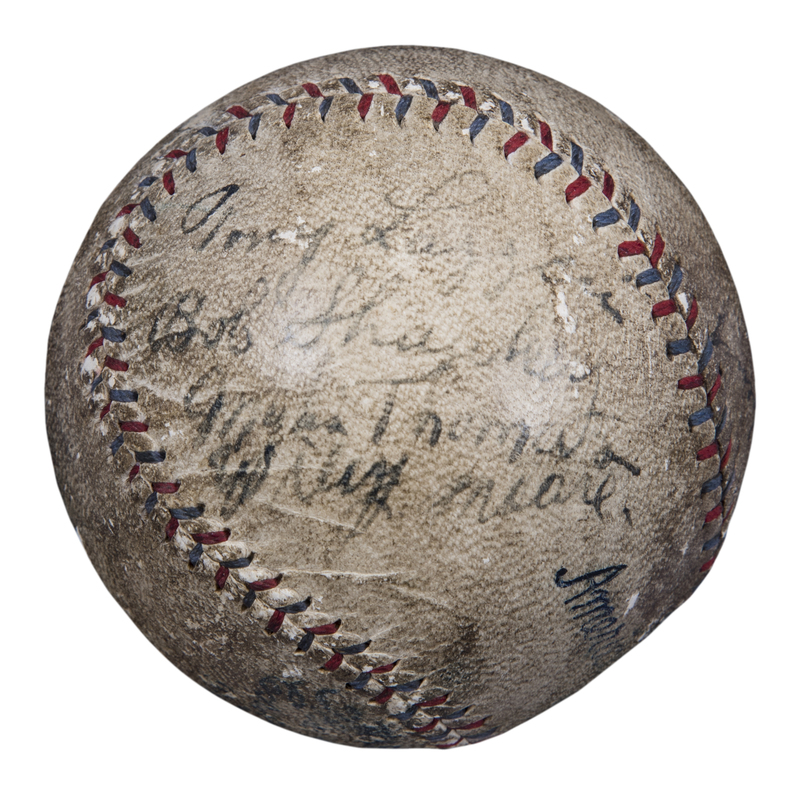 Making this ball a collector’s dream are the signatures of Babe Ruth and Lou Gehrig on the same side panel, both appearing above the Ban Johnson stamp. 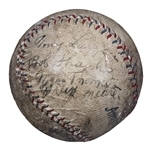 Hall of Famer Tony Lazzeri’s signature is on the opposite side panel, along with the autographs of Bob Shawkey, Myles Thomas and Wilcy Moore. 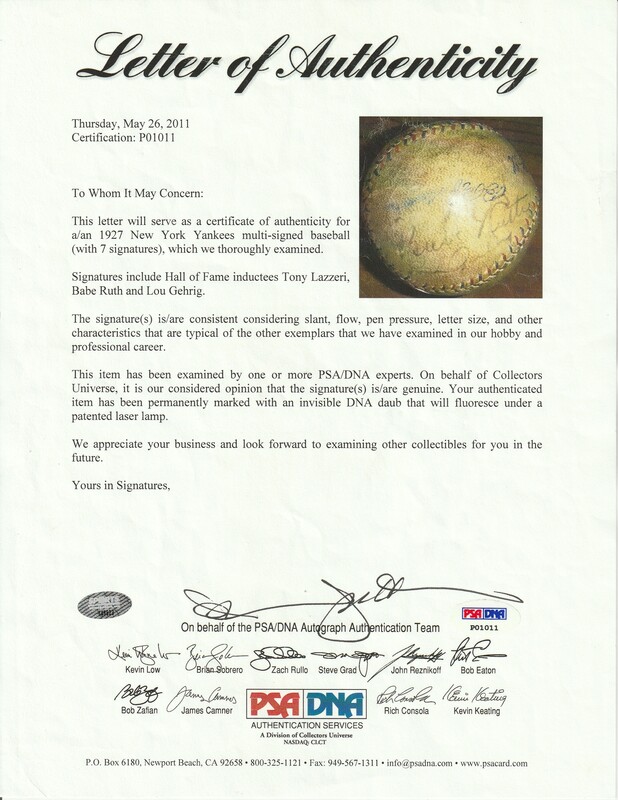 The signature of Mark Koenig appears directly on the Reach stamp and is by itself on that panel. 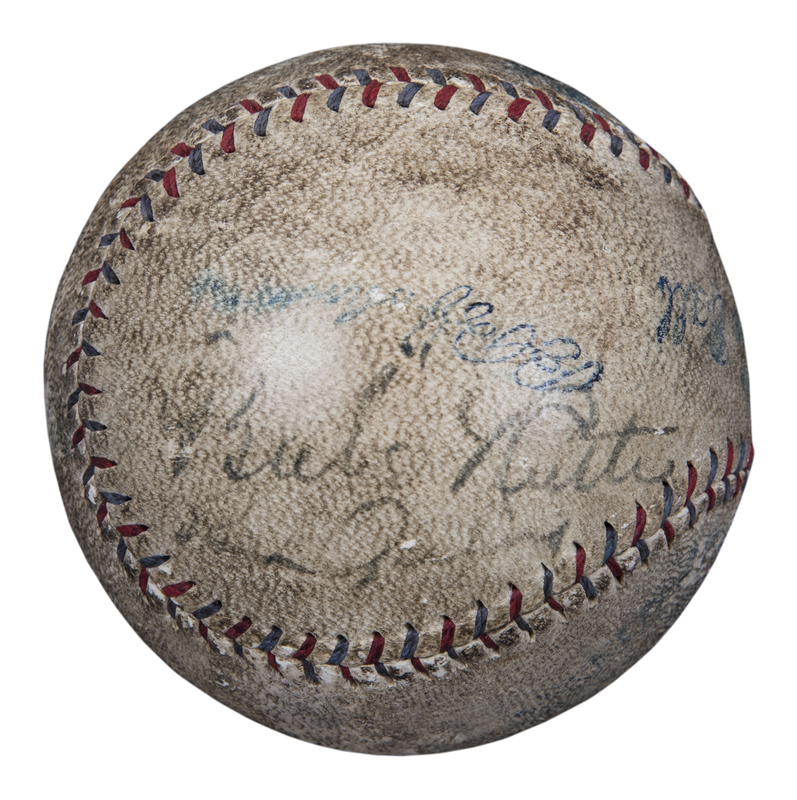 That ball displays toning with staining present throughout the ball, none of which diminishes the signatures of Ruth and Gehrig. Only Koenig’s signature appears light, but is still readable. 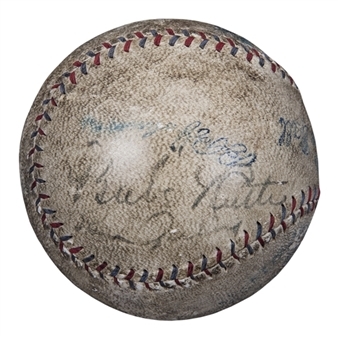 A terrific baseball representing one of, if not the most iconic teams in the storied history of the New York Yankees. 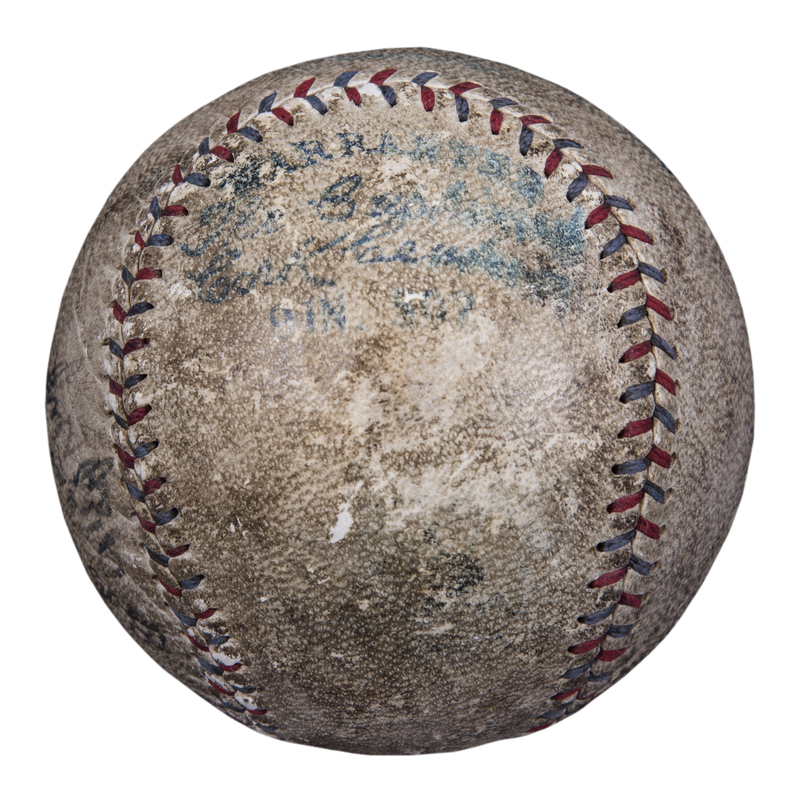 This ball comes with a LOA from PSA/DNA (P01011).